Welcome to a great accommodation for a great price in a great location! This is apartment for all visitors who wants a pleasant, warm atmosphere that feels like home! With exceptional location in the heart of Zagreb, the capital and largest city in Croatia, easy access to all the major sights and city institutions and only 15 minutes on foot from the Zagreb city centre. Nighty Night apartments offer a cozy atmosphere and a warm welcome for both business people as well as tourists. Nighty Night apartments have attractive and modern studio apartment **** separate facility next to a family house and apartment ***. With completely new furniture it provides ideal conditions for one person, a couple or a family and a small group of friends. Inside the apartments You will find excellent accommodation during Your business trip or vacation, You will feel relaxed like in Your home. With apartments You have free parking and free WiFi. All this in the heart of the city! One click for reservation . 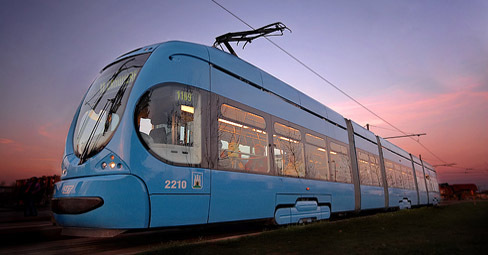 . .
Around the apartments there are a few tram stops from which You can go to main parts of the city. Buses that drives from the airport and to the airport Zagreb arrives and departs from the Central Bus Station Zagreb which is very near; only five (5) minutes walk from the apartments. Main Railway Station from where buses and trains operates to other parts of the city and rest of Croatian cities and Europe is only ten (10) minutes by foot from the apartments. If you want to visit the Central Ban Jelacic Square You have 15-minute walk.